The numbers released by the university annual survey show that the housing crisis for students remains in effect. Actually the numbers are sort of better than last year, where the fall survey showed about 30 apartments, or 30 of the 7037 leased by the unit, were vacant – that’s 0.4 percent, up from 0.2 percent last year. Looking at the units rented by bed, that number is 28 out of 3955 beds or 0.7 percent. That’s a little worse, as 1.6 percent of the beds were vacant last year. The total then is 0.5 compared to 0.3 percent. Rents as expected are going up – by an average of 6.5 percent. The average monthly rent for unit-leased apartments of all sizes was up 8.5 percent, from $1,673 last year to $1,815. The average monthly rental rate for a bed lease was up 6.9 percent, from $892 in fall 2017 to $954. Don Shor posted 20 years of apartment unit vacancy rate – one has a tendency to shrug off the notion of crisis when looking at these numbers. Why? Because they are always low. The last five years have been below half a percent vacancy. But even the best years showed 3.4 percent vacant in 2010 in the heart of the recession and 4.2 percent vacant in 2005. But that is not the full story. As we know, the city of Davis has yet to open Sterling Apartments which is in construction. When it opens that will be the first market rate multi-family housing built in the city since 2002. In the meantime, the campus housing situation has changed a lot since 2002, with thousands of new students. Part of what we learned in July of last year is that the vacancy rate is just one indicator. It demonstrates the difficulty of finding housing at any point in time, but it is not the leading indicator of the housing crisis. Some numbers that came out from the affordable housing survey are perhaps better indicators. For instance, 19 percent of UC Davis students have reported some form of homelessness or housing insecurity. You can regularly find students sleeping in the 24-hour study room or sleeping in their cars because they lack permanent housing. There are a number of students that are couch surfing. UC Davis is far from alone on the issue of housing insecurity, but this is a problem that should be solvable. For Don Gibson, last summer he told the Vanguard that he had expected to learn that the shortage of housing was causing students to leave town in search of dwellings. But the regional housing market is itself tight and rents are going up. Instead, what they found was that more students were packing into tighter quarters. That means that in 2000, the average unit had 2.37 (rounded up to 2.4) people per unit and it now has almost 3 people per unit. This is not due to changes in the structure of units, and there have been almost no additional units built in that time – that is due to more students moving into existing housing units. Last week the council started to crack down on mini-dorms themselves. Many saw this as somehow being anti-student. But one of the proposed houses started at 18 rooms, which city staff believed could end up housing between 30 and 40 students and generating large neighborhood impacts. For the council – they viewed their actions as helping to preserve the quality and character of neighborhoods and believed they did their part in helping students by approving 4000 rental units. For students, help is on the way, but it may take some time. Some of those could come on line by 2020 or 2021. In the meantime, the city continues to hope to have housing built. Sterling Apartments is in the process of construction. Davis Live Housing is approved and has no litigation. However, Lincoln40 and Nishi – a total of 3000 of the 4000 approved beds – are stuck in litigation. Nishi still has engineering and approvals to work through and is slow-playing the litigation, while Lincoln40’s hearing was delayed until March 8. But things should be better than they are currently. I wonder if this is what the advocates for densification had in mind? No. Advocates for densification have pushed for more/ smaller units per parcel. With my customary disclaimer that the student housing situation is NOT a CRISIS, but rather a long ongoing problem, David’s statement above is patently absurd. Yes the nominal vacancy rate has increased to 0.4 percent from 0.2 percent last year, but that only reports those apartment complexes that actually respond to the survey . . . the part of the iceberg that is visible above the water line. In the same one-year period, the Undergraduate enrollment increased by 1,297 students and the Graduate School enrollment increased by 263 students. So Demand for student housing increased by over 1,500 beds. 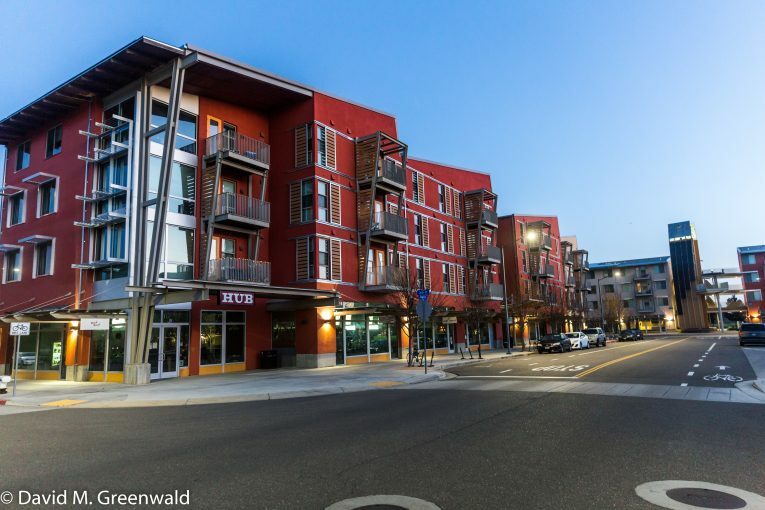 At the same time the Supply of apartment housing in Davis was effectively unchanged. So the numbers this year are actually worse, not better. I don’t read David’s comment as claiming that the situation is better, only that the numbers are “sort of” improved. The situation has gotten a lot worse – more students jammed into the same houses, more living in cars and on couches. Craig, David’s words are both explicit and clear. Perhaps your mind was spinning when read them. “that’s 0.4 percent, up from 0.2 percent last year.” So the margin of error in this survey is less than .01%? That’s impressive. Doesn’t margin of error only apply if they are sampling to generate the statistical figures in their survey? If you want to compare two samples to each other you certainly need to calculate the margin of error. The samples could be two different populations, Davis vs Woodland, or the same sample population at two different time points. Davis 2018 vs Davis 2019. Rounding is not the same as calculating the margin of error. I have not read the report but it seems doubtful that change of .2% percent could be measured in a survey. That would mean the numbers are too close to tell whether there was any change at all. I am presuming this is survey as it says “the fall survey”. I’d like to add some additional thoughts to the discussion, based on information contained in UCD Chancellor’s Affordable Student Housing Task Force. The 47-page task force report, issued June 30, 2018, is titled Turning the Curve on Affordable Student Housing. It recommended two categories of actions: four “Overarching Priorities” and 15 “Short-to-Medium Term Priority Actions.” The report was issued before the Board of Regents approved the UCD 2018 Long Range Development Plan (LRDP) last July, and well before the MOU was concluded last September among UCD, the City of Davis and the County of Yolo. UCD’s “University News” article issued two days ago summarized the results of the 2017 housing survey, and mentioned that UCD is working on a few of the task force recommendation, but there was no reference to perhaps the three most substantive task force recommendations, summarized below (quotation marks indicate verbatim task force report text). • Overarching Priority 3: “Identify funds to support student housing”, which the report states could include philanthropic sources or innovative financing models such as cooperative housing. Comment: UCD reportedly has an endowment exceeding $1 billion but to my knowledge has not tapped those funds to support on-campus student housing. As suggested to UCD representatives with whom I met in August 2017, UCD could emulate the alumni fundraising effort at USC, which resulted in the successful “USC Village” project. Instead, UCD is pursuing alumni funding for projects like the $40 million sports complex announced last November. I respectfully suggest that an alumni fundraising effort for affordable, on-campus student housing should be a higher priority than soliciting funds for athletic programs, especially while students are sleeping in their cars and couch surfing. • Short-to-Medium Priority I.6: “Increase the campus housing supply by building more units. We welcome the Chancellor’s recent decision to increase the target of new housing units to be built on campus to include 9,050 beds, but our analysis of the available data suggests that number needs to be higher in order to reverse the trend toward unaffordable housing.” Comment: This task force recommendation more than justifies the City and County resolutions calling upon UCD to house at least 50% of the expected 2030-31 student population on campus, rather than the 48% ultimately specified in the LRDP and MOU. At the very least, the 2018 LRDP housing goal should have attempted to compensate for the campus falling far short of the student housing goals set in the 2002 Board of Regents student housing report and UCD’s 2003 LRDP. If those goals had been met, somewhere between 1,400 and 1,800 additional beds would exist on campus today. The 2018 LRDP and MOU would have been a perfect opportunity to rectify those past unmet housing goals. It would appear to an outside observer that despite its many attributes, the MOU would have been an excellent opportunity for UCD and the two local government entities to identify and commit to concrete ways to implement the recommendations of the Chancellor’s task force. (This comment is made in the context of recognizing that because the MOU negotiations understandably took place in close session format, there is no way of knowing whether the task force recommendations were in fact discussed.) While the absence of linkages to the task force recommendations in the LRDP and the MOU is a significant shortcoming, hopefully future meetings of the UCD-City-County 2x2x2 committee and the Working Group described in the MOU can address those recommendations in a substantive fashion. You all are making this too complicated. Simple . . . things are twice as good this year! This is a survey of off-campus apartment complex properties. 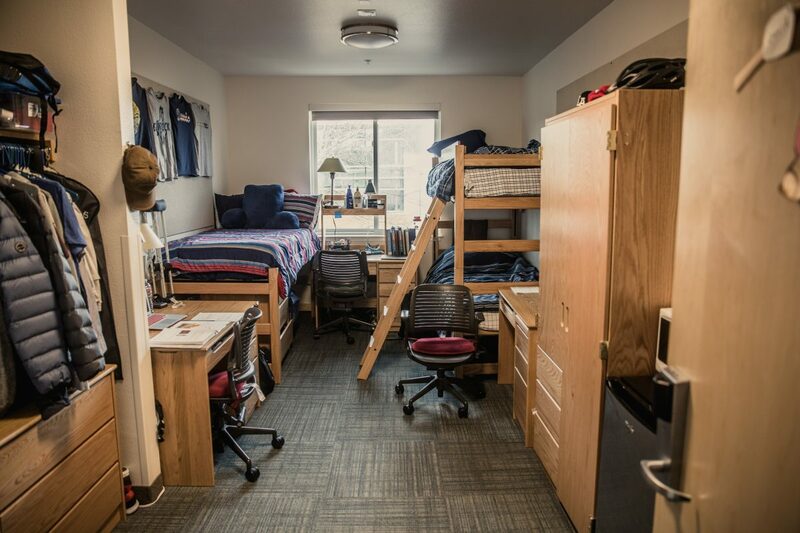 It’s strange that David Greenwald characterizes students as the only tenants of these (rather than including workforce/families/seniors as possible tenants) and that the photo illustration is of an on-campus dorm room. It’s also worth mentioning that this survey is increasingly less useful in comparing year-to-year changes in rental conditions in town. The number of reporting properties/units has declined substantially in the past two years. And, as always, it does not include units outside of apartment complexes at all–these account for approximately half of rental units in town. And with the survey now accounting for only about 3/4 of apartment complex units, the survey covers probably less than 40% of all rentals. And while vacancy rates of surveyed units remain low and prices increased (again, with the caveat that a large number of units surveyed in previous years are not included in this year’s survey), Greenwald neglects to mention that rental rates actually dropped for some properties as described in the report: “Four of the respondent complexes reported lowering rents in 2018 in order to fill vacancies…” The report states that some properties maintained static rent levels, but does not state how many. Nowhere did Greenwald state that the only tenants were students. He definitely focused on the student issue but that’s a far cry from Keller’s lie. The prices increased on average, that some complexes lowered rates doesn’t really change the situation. Thread cleanup, 3 comments removed. I was noticing that the comment section seems pretty rich now, and without all of the petty back and forth that had proliferated up to the end of 2018.